I was pondering what verse to do for Word-Filled Wednesday this week, when my wonderful husband Marc reminded me of one that I had "grown up on." It reminded me of my "Jewish roots," so to speak, but also helped me remember that there is so much richness in ALL of God's Word - Old AND New Testament. 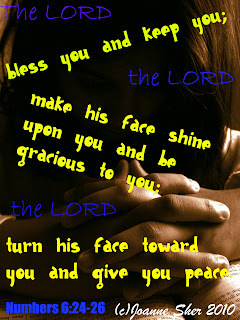 Praying that this blessing blesses you, as it has God's people for thousands of years. Who doesn't need this blessing? We bless our children with this one every Friday night! Awesome Word today! What a beautiful blessing! It truely is a wonderful blessing. Thanks for sharing. So true, aren't we all blessed by this verse! Happy WFW! Love this verse, Joanne, and you're right... Who couldn't use a blessing like this? 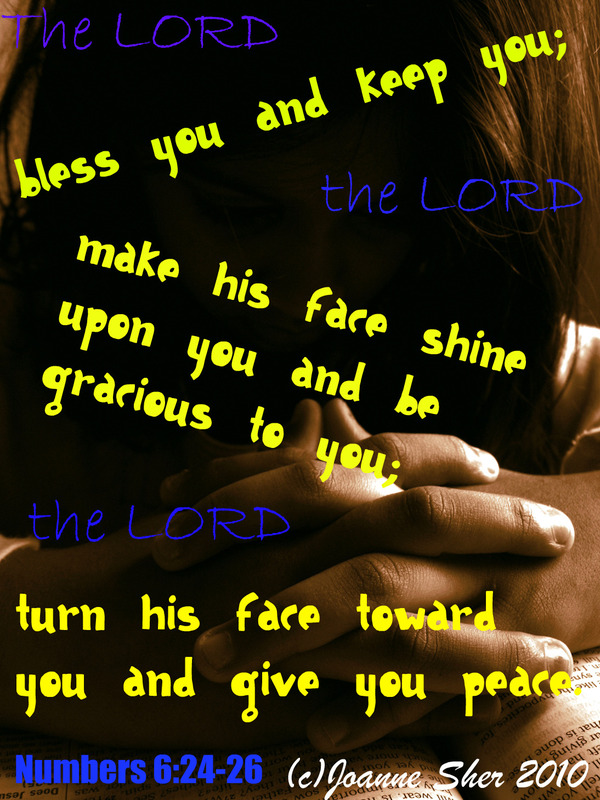 I so want the face of God shining down on me in all that I do. I love to ask that God's favor go before me when I go to do something...maybe even when I am entering a room alone.. I asked for His grace and favor yesterday as I serenely drove to take the service in the elderly flats next to the church.....I was so serene in His favor until I saw the shut door......I opened it...and every elderly eye looked at me..and oh boy did I need favor. I said...am I late........? and yes..instead of being 15 mins early I was 15 mins late. The two places side by side operate at different times and both the Pastor and I got it wrong by 15 mins.....he ran all the way from next door. They were singing the Old Rugged Cross and a "waiting for the preacher" song..I took a deep breath and stood up and said...I was asking for God's forgiveness and cleansing before I came.now I need to ask you to forgive me. Those older faces are not so inclined to smile as they could be. I think in fact I may be older than some of them but I make a real effort to smile at those I meet. We sang a benediction at the end....your text reminded me of yesterday and favor and God's blessing. One of my fav blessing verses, Jo. Love it!